1.Automatically insert the winding into stator slot. 2.This machine is used for induction motor stator. 3.The winding/coil and wedge/top cover is inserted simultaneously. 4. Simple operation, low noise, fast speed and high automaticity. 5. PLC and touch screen control. 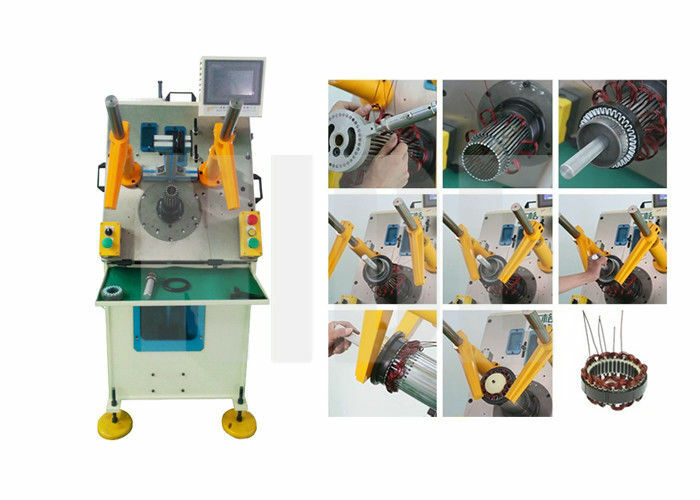 This machine is suitable for inserting coil and wedge into stator by servo system; This type of Stator Winding Inserting Machine can insert coil and wedge or coil and wedge in the mid of slot into stator at a time; wedge feeding is to be done bt stepping motor,and coil and wedge inserting is by servo system; different parameter could be set in human-machine interface; the speed and feeding mode is acquirable according to different slot filling rate and different kind of wire; different size stator production can be achieved by changing tooling;especially apply to micro induction motors such as air conditioner motor, washing machine motor, compression motor, fan motor, generator and pump motor. 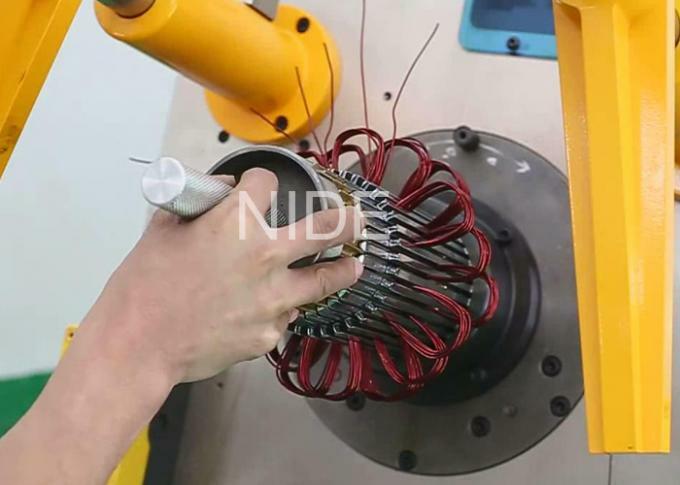 This machine can insert the winding/coil and the wedge/top cover into the stator slot simultaneously. This machine is used for induction motor stator which meet the specification in the below table. It is suitable for micro induction motors such as air conditioner motor, washing machine motor, compression motor, fan motor, generator and pump motor. This picture shows the inserting process.